Flipboard has facilitated story sharing before, but it often felt inefficient. You can distribute a link via email, SMS or a social network, but then the recipient needs to see the link and launch Flipboard to read the article. 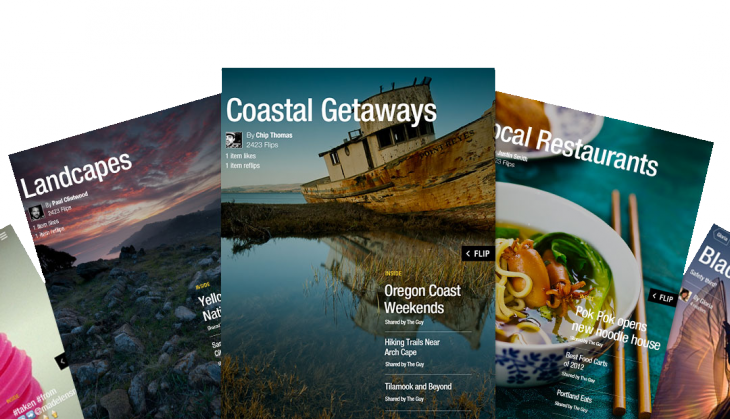 Now, Flipboard supports direct sharing so you can send and receive stories without leaving the app. While you’re reading an interesting piece, you can hit the share button at the top of the screen and select the new Flipboard icon, represented by a red circle and white silhouette. As you type – the updated iOS app supports both usernames and email addresses – Flipboard will auto-suggest users based on your device’s contacts list. 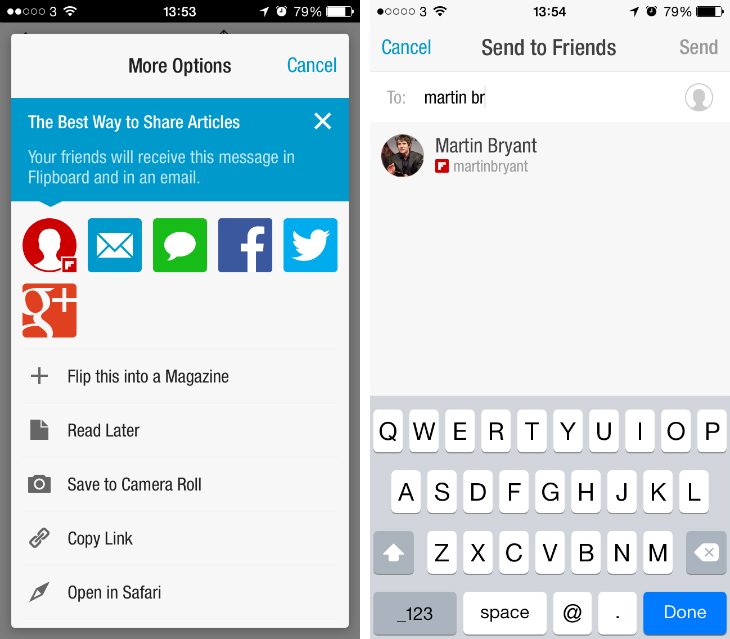 Once it’s been sent, Flipboard will alert recipients with an email and simple message inside the app. In theory, it should make the service a far more cohesive experience and also encourage story sharing between users. If I find an interesting link, it’s nice to be able to send it to a friend and know they’ll pick it up the next time they open the app. All that remains is to bring the feature to Flipboard’s Android app – it’s likely just a matter of time.